Used Chryslers in Stock | Southfield Chrysler Dodge Jeep Ram " "
Recent Arrival! FCA CERTIFIED PRE-OWNED!, NAVIGATION, 19'' ALUMINUM WHEELS, LEATHER HEATED/COOLED SEATS, REMOTE START, HEATED 2ND ROW SEATS, HEATED STEERING WHEEL, REAR VISION CAMERA, 19 x 7.5 Polished Aluminum Wheels, Automatic temperature control, Front dual zone A/C, Fully automatic headlights, Garage door transmitter, Heated front seats, Heated rear seats, Heated steering wheel, Memory seat, Navigation System, Power driver seat, Power passenger seat, Radio: Uconnect 4C Nav w/8.4 Display, Speed control, Ventilated front seats. CARFAX One-Owner. Clean CARFAX.Billet Silver Metallic Clearcoat 2018 Chrysler 300 Limited 4D Sedan 3.6L 6-Cylinder SMPI DOHC 8-Speed Automatic AWDCertified. FCA US Certified Pre-Owned Details: * Limited Warranty: 3 Month/3,000 Mile (whichever comes first) after new car warranty expires or from certified purchase date * 125 Point Inspection * Roadside Assistance * Vehicle History * Powertrain Limited Warranty: 84 Month/100,000 Mile (whichever comes first) from original in-service date * Transferable Warranty * Warranty Deductible: $100 * Includes First Day Rental, Car Rental Allowance, and Trip Interruption BenefitsSouthfield Dodge Chrysler Jeep Ram is delighted to offer this wonderful 2018 Chrysler 300. Odometer is 12453 miles below market average! 18/27 City/Highway MPGSouthfield Chrysler Dodge Jeep Ram became part of the Ken Garff Family in 2014. Our dealership has many satisfied customers from Southfield, Detroit, Bloomfield Hills, Farmington Hills, and Troy, MI. Our commitment to our customers begins from the moment they step into our showroom and test drive one of our new Chrysler, Dodge, Jeep, or Ram models or one of our quality used vehicles. Recent Arrival! FCA CERTIFIED PRE-OWNED!, NAVIGATION, 19'' HYPER BLACK ALUMINUM WHEELS, ADAPTIVE CRUISE CONTROL, LEATHER HEATED SEATS, REMOTE START, FRONT/REAR PARKING ASSIST, 1-YR SiriusXM Guardian Trial, 5-Year SiriusXM Traffic Service, 5-Year SiriusXM Travel Link Service, 8.4 Touchscreen Display, Adaptive Cruise Control w/Stop, Advanced Brake Assist, Apple CarPlay, Auto High Beam Headlamp Control, Automatic temperature control, For Details Visit DriveUconnect.com, Front dual zone A/C, Full Speed FWD Collision Warn Plus, Fully automatic headlights, Google Android Auto, GPS Antenna Input, GPS Navigation, HD Radio, Heated front seats, Integrated Voice Command w/Bluetooth, Lane Departure Warning Plus, Leather Trimmed Sport Bucket Seats, Media Hub (2 USB, AUX), Power driver seat, Radio: Uconnect 4C Nav w/8.4 Display, Rain Sensitive Windshield Wipers, SafetyTec Plus Group, SiriusXM Satellite Radio, SiriusXM Traffic Plus, SiriusXM Travel Link, Steering wheel mounted audio controls, USB Host Flip, Wheels: 19 x 7.5 Aluminum HyperBlack. CARFAX One-Owner. Clean CARFAX.Granite Crystal Metallic Clearcoat 2018 Chrysler 300 S 4D Sedan 3.6L V6 24V VVT 8-Speed Automatic AWDCertified. FCA US Certified Pre-Owned Details: * Limited Warranty: 3 Month/3,000 Mile (whichever comes first) after new car warranty expires or from certified purchase date * Powertrain Limited Warranty: 84 Month/100,000 Mile (whichever comes first) from original in-service date * Includes First Day Rental, Car Rental Allowance, and Trip Interruption Benefits * Roadside Assistance * 125 Point Inspection * Warranty Deductible: $100 * Transferable Warranty * Vehicle HistorySouthfield Dodge Chrysler Jeep Ram is honored to offer this great 2018 Chrysler 300. Odometer is 2127 miles below market average! 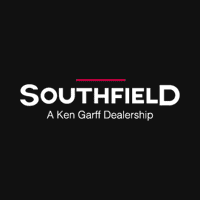 18/27 City/Highway MPGSouthfield Chrysler Dodge Jeep Ram became part of the Ken Garff Family in 2014. Our dealership has many satisfied customers from Southfield, Detroit, Bloomfield Hills, Farmington Hills, and Troy, MI. Our commitment to our customers begins from the moment they step into our showroom and test drive one of our new Chrysler, Dodge, Jeep, or Ram models or one of our quality used vehicles. Recent Arrival! FCA CERTIFIED PRE-OWNED!, NAVIGATION, 19'' HYPER BLACK ALUMINUM WHEELS, LEATHER HEATED SEATS, ADAPTIVE CRUISE CONTROL, REMOTE START, REAR VISION CAMERA, TOUCH SCREEN RADIO W/ APPLE CARPLAY,, 1-YR SiriusXM Guardian Trial, 5-Year SiriusXM Traffic Service, 5-Year SiriusXM Travel Link Service, 8.4 Touchscreen Display, Adaptive Cruise Control w/Stop, Advanced Brake Assist, Apple CarPlay, Auto High Beam Headlamp Control, Automatic temperature control, For Details Visit DriveUconnect.com, Front dual zone A/C, Full Speed FWD Collision Warn Plus, Fully automatic headlights, Google Android Auto, GPS Antenna Input, GPS Navigation, HD Radio, Heated front seats, Integrated Voice Command w/Bluetooth, Lane Departure Warning Plus, Leather Trim Seats, Media Hub (2 USB, AUX), Power driver seat, Power passenger seat, Radio: Uconnect 4C Nav w/8.4 Display, Rain Sensitive Windshield Wipers, SafetyTec Plus Group, SiriusXM Satellite Radio, SiriusXM Traffic Plus, SiriusXM Travel Link, Steering wheel mounted audio controls, USB Host Flip, Wheels: 19 x 7.5 Aluminum HyperBlack. CARFAX One-Owner. Clean CARFAX.Granite Crystal Metallic Clearcoat 2018 Chrysler 300 S 4D Sedan 3.6L V6 24V VVT 8-Speed Automatic AWDCertified. FCA US Certified Pre-Owned Details: * Limited Warranty: 3 Month/3,000 Mile (whichever comes first) after new car warranty expires or from certified purchase date * Powertrain Limited Warranty: 84 Month/100,000 Mile (whichever comes first) from original in-service date * Transferable Warranty * Roadside Assistance * Warranty Deductible: $100 * Vehicle History * Includes First Day Rental, Car Rental Allowance, and Trip Interruption Benefits * 125 Point InspectionSouthfield Dodge Chrysler Jeep Ram is very proud to offer this fantastic-looking 2018 Chrysler 300. 18/27 City/Highway MPGSouthfield Chrysler Dodge Jeep Ram became part of the Ken Garff Family in 2014. Our dealership has many satisfied customers from Southfield, Detroit, Bloomfield Hills, Farmington Hills, and Troy, MI. Our commitment to our customers begins from the moment they step into our showroom and test drive one of our new Chrysler, Dodge, Jeep, or Ram models or one of our quality used vehicles. Recent Arrival! FCA CERTIFIED PRE-OWNED!, 19'' BLACK ALUMINUM WHEELS, LEATHER HEATED SEATS, REMOTE START, POWER DRIVER SEAT, 8.4'' UCONNECT TOUCH SCREEN RADIO, REAR VISION CAMERA, Automatic temperature control, Front dual zone A/C, Front fog lights, Fully automatic headlights, Garage door transmitter, Heated front seats, Leather Trimmed Sport Bucket Seats, Power driver seat, Radio: Uconnect 4C w/8.4 Display, SiriusXM Satellite Radio, Speed control, Steering wheel mounted audio controls, Wheels: 19 x 7.5 Aluminum HyperBlack. CARFAX One-Owner. Clean CARFAX.Billet Silver Metallic Clearcoat 2018 Chrysler 300 S 4D Sedan 3.6L V6 24V VVT 8-Speed Automatic AWDCertified. FCA US Certified Pre-Owned Details: * Roadside Assistance * Warranty Deductible: $100 * Vehicle History * 125 Point Inspection * Limited Warranty: 3 Month/3,000 Mile (whichever comes first) after new car warranty expires or from certified purchase date * Powertrain Limited Warranty: 84 Month/100,000 Mile (whichever comes first) from original in-service date * Transferable Warranty * Includes First Day Rental, Car Rental Allowance, and Trip Interruption BenefitsSouthfield Dodge Chrysler Jeep Ram is proud to offer this good-looking 2018 Chrysler 300. Odometer is 2113 miles below market average! 18/27 City/Highway MPGSouthfield Chrysler Dodge Jeep Ram became part of the Ken Garff Family in 2014. Our dealership has many satisfied customers from Southfield, Detroit, Bloomfield Hills, Farmington Hills, and Troy, MI. Our commitment to our customers begins from the moment they step into our showroom and test drive one of our new Chrysler, Dodge, Jeep, or Ram models or one of our quality used vehicles.